Sapphire Beach Resort Beach Level Suite--Step Right from Patio onto Beach! 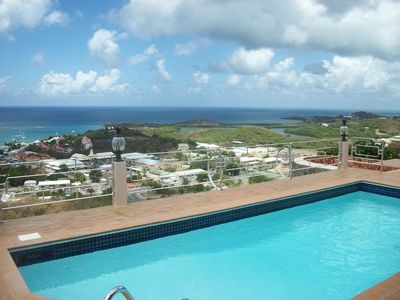 Prime BEACH-LEVEL centrally located Suite, on main beach, JUST A FEW STEPS FROM THE OCEAN and the pool!! 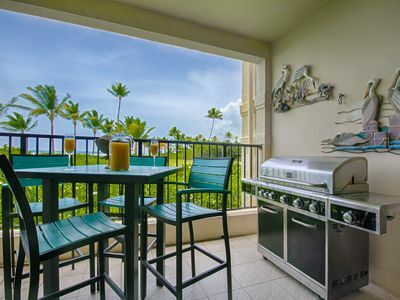 From your over-sized patio, you step right onto the sand. Sit on lounge chairs on your patio or have attendant set them up for you right in front of your Suite (or anywhere on the beach). 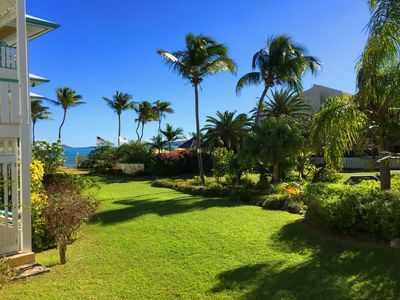 Directly outside your Paradise Beachfront Suite door lies one of the most stunning expanses of sand and water in the Caribbean. 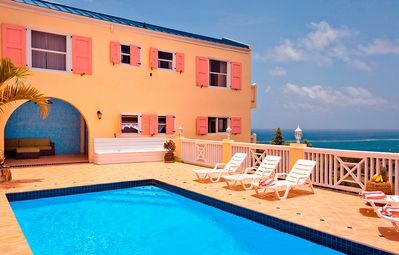 This Suite on Sapphire Beach, part of the Sapphire Beach Resort and Marina located on the east end of the island, is the perfect place for any type of vacation — from adventurous, to fun in the sun, to relaxing by the pool. You don't have to leave Sapphire Beach Resort — everything you need for a memorable vacation is right on-site. 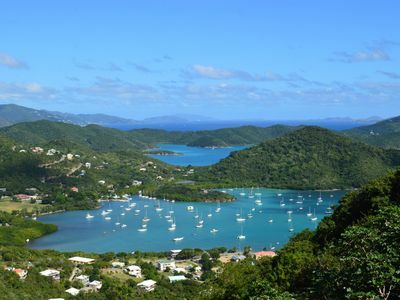 For those with an exploring nature, St. Thomas has a wide variety of attractions, including historic buildings, Blackbeard’s castle, underwater submarine tour, boat tours, sky ride, marine park, and ecotours to name just a few of the spectacular sights to see and activities to enjoy. Of course, there is plenty of shopping and amazing restaurants for you to try. As you can see from the pictures, the ocean is only a step away. Your Beachfront Suite has a fully-equipped kitchen with oven w/burners (cooking & eating utensils provided), microwave & full refrigerator. Enjoy your spacious living room and dining area, with a divider separating the King-sized bed and Queen-sized pull-out sofa bed, as well as an over-sized patio with lounge chairs right on the sand. The Suite fits 4 adults comfortably, and will accommodate 2 adults & 3 children. The NEWLY TILED spacious bathroom contains a tub, shower and double sinks. 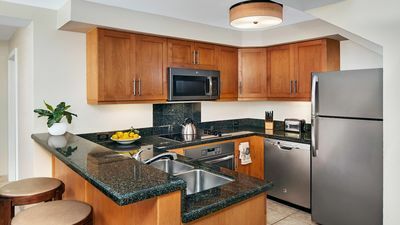 Other amenities include air-conditioning, cable television, flat screen TV and ceiling fans. Daily or occasional maid service is available. Please check our videos for reviews. There is a full-service restaurant easily walkable from the beach. On Sapphire Beach itself, enjoy a grill with delicious beach fare prepared to suit your specifications as well as the island’s best drinks. Dive into the fresh water pool, then dry off and play on the tennis courts or join a game of beach volleyball. Sapphire Beach Resort is located in a lovely landscaped tropical vegetation garden amidst palm and banana trees. You can snorkel right off Sapphire Beach, sail, windsurf, parasail or jet ski. 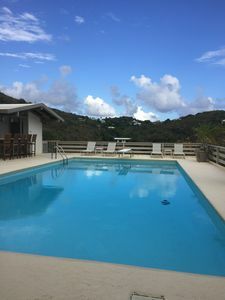 The adjacent marina offers boats for rent, in addition to planned excursions to adjacent islands including St. John and the British Virgin Islands, snorkeling, the best PADI scuba diving on St. Thomas, and deep sea fishing. For golfers, you can’t beat the nearby prestigious Mahogany Run Golf Course. The picturesque, small yachting and boating village of Red Hook is located one-half mile away. You can reach it with a leisurely walk and/or use one of the air-conditioned cabs always available to take you to any of the nearby attractions. Red Hook has great restaurants, nightlife, gift stores, and the ferry that takes you to the nearby island of Saint John. 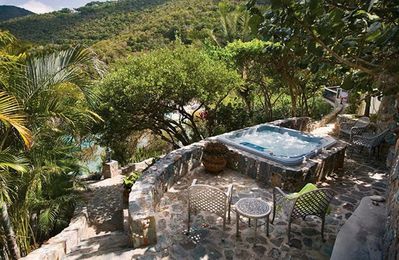 Honeymooners will love the secluded beaches and romantic restaurants. 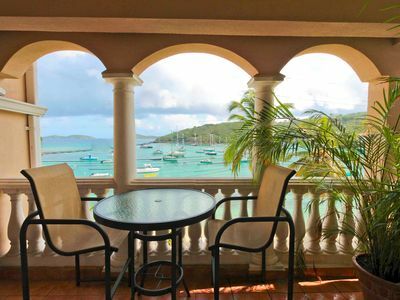 Families with kids will enjoy the sand, pool, fishing off the dock or boat, and pirate history. Active vacationers will find plenty of hiking, scuba diving, and bicycling to keep on the go. There is something for everyone. 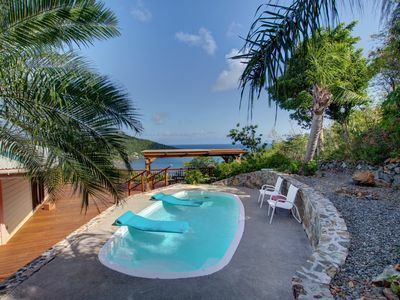 You can reach this paradise with several direct flights from all the east coast cities – Philadelphia is only four hours away. 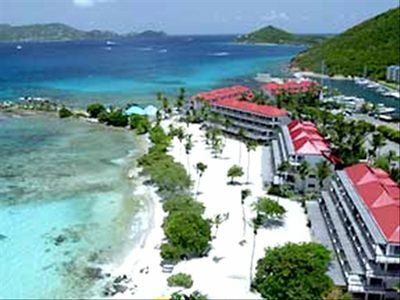 Sapphire Beach, Saint Thomas is the perfect vacation island. Book your dream visit today! Walk to Klein Bay! Pool & Hot Tub! 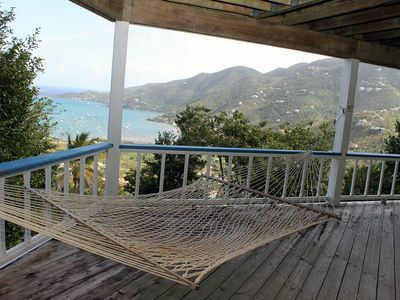 A Shore Thing at Colony Cove - SUMMER SPECIAL - only $160.00 per night ! 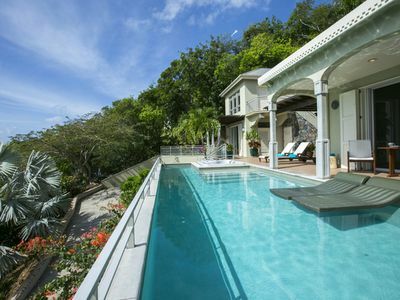 Deluxe 3 BR Mountainside Retreat with Awesome Views of Coral Bay and the Caribbean!